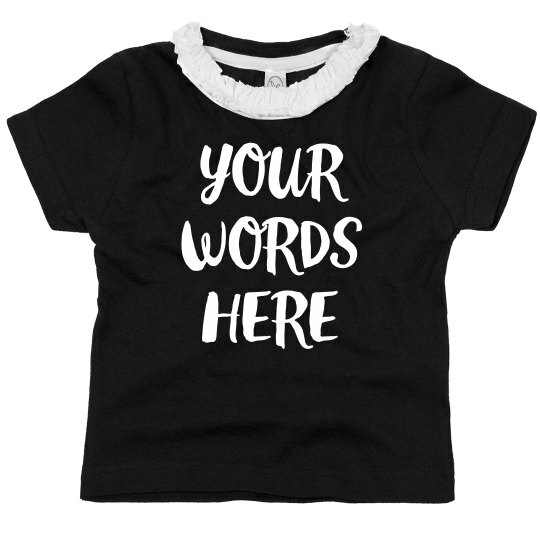 Decorate this cute ruffle tee with your own words! Funny catchphrases, encouragement, or even a nickname, anything goes when it comes to being creative! With the script text, your words will have a girly and fun look any little girl will love!